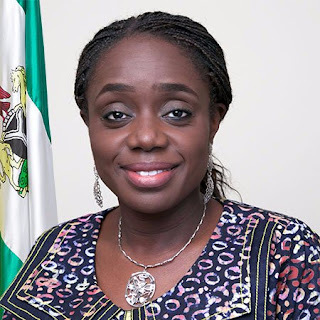 The Minister of Finance, Mrs. Kemi Adeosun who disclosed this at a workshop in Abuja on compliance with the Fiscal Responsibility (FRA) Act, noted that poor revenue performance by Ministries Departments and Agencies (MDAs) was hampering the 2017 budget implementation. She singled out NIMASA as one of the Agencies doing well in terms of revenue generation and remittances to the Federal Government’s Treasury Single Account (TSA). This is coming on the heels of the commendations by President Muhammadu Buhari and the Vice President Yemi Osinbajo who separately at various times commended the Dr Dakuku Peterside led Management of NIMASA for their ingenuity in managing the affairs of the maritime regulatory Agency and increasing the Agency’s contributions to the Consolidated Revenue Fund (CRF) even at the time of economic recession. The Finance Minister noted that despite the dwindling revenue of various Government Agencies, the current management of NIMASA brought down significantly the cost of doing business otherwise called operational cost and the Agency was still able to generate more money by half year than it did in the two preceding years. While stating that NIMASA has proven that financial prudence, accountability and transparency can lead to sustainable economic growth in Nigeria, she enjoined all other MDA’s to emulate NIMASA and plug all revenue leakages in order to allow for 100 percent implementation of the 2017 budget. In her words, “Unlike NIMASA and the Joint Admission Matriculation Board (JAMB), some Agencies and Departments are operating in such a manner that returned minimal funds to Government. 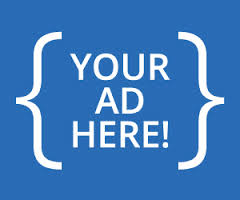 To this effect, a circular has been issued restricting allowable expenses in line with reforms occurring across government businesses, as compliance checks would be undertaken regularly to ensure that all Agencies and Departments adhere to the new requirements”. Mrs Adeosun also noted that the current Management of NIMASA has introduced processes that blocked loop holes thus increase revenue generation and subsequently improve its reputation leading to better confidence from stakeholders in the maritime sector. Corroborating the Finance Minister’s stance, the Accountant General of the Federation (AGF), Mr. Ahmed Idris also urged other MDAs to be more creative in their revenue generation efforts so that they could meet the individual targets of Agencies and collectively meet estimated revenue to fund the 2017 budget. The AGF noted that despite the general downturn in accruable revenue to Government due to prevailing global economic situation, the remittances to the Consolidated Revenue Fund (CRF) by NIMASA this year has been the highest by the Agency when compared to corresponding period of recent years. “It was also the first time in recent years that NIMASA will remit huge revenue into the government coffers”, he said. Recently, the Director General of NIMASA, Dr. Dakuku Peterside informed at a Stakeholders Forum in Lagos that in order to allow for probity and accountability, the Agency has begun the automation of all its processes. This has reduced human interface in the Agency’s transactions, thus improved revenue generation. He also disclosed that the Agency had devolved more powers to its Zonal Offices to allow for early conclusion of transactions to ultimately plug revenue leakages and that NIMASA is now operating 24 hours in line with the Ease of Doing Business initiative of the Federal Government. Dr. Peterside since assumption of office had always reiterated that the maritime sector, if properly harnessed can successfully form a huge component of the total budgetary requirement of the country.